The immunoassay market is growing steadily, fueled by an aging population, increasing expectations, and emerging nations’ demands for better healthcare. In response, immunoassay developers are boosting specificity, simplifying the use and analysis of assays, and developing assays tailored to more specific needs. Asia offers the greatest growth potential. BCC predicts a CAGR of 5.6%, growing from $5.5 billion in 2012 to nearly $7.3 billion in 2017. “In Asia, pandemic flu strains are increasingly prevalent, so immunoassays and vaccines are needed to combat them,” says BCC analyst Jackson Highsmith. The Americas market, currently the largest, is expected to have a CAGR of 4.1%, growing from $5.2 billion in 2012 to $6.4 billion in 2017. Europe, in contrast, is expected to reach $5.3 billion by 2017, with a 4.2% CAGR. Here, growth is driven by the incidence of cancer. 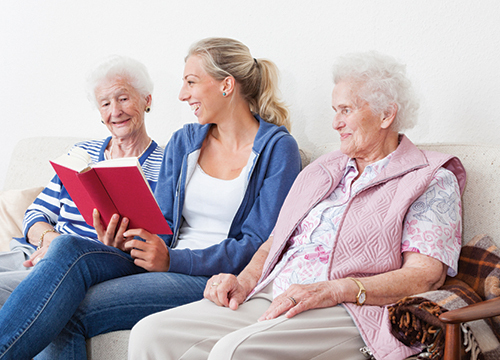 The aging population creates significant growth opportunities. The World Health Organization estimates the global population over age 60 will double in the coming decades, growing from 11% in 2000 to 22% percent in 2050. “The increased incidence and prevalence of chronic diseases in middle-aged to older populations is linked to epigenetic effects,” Highsmith points out. Cancer, Alzheimer’s disease, arthritis, and other conditions show strong correlations with aging. Therefore, countries wanting to decrease their healthcare costs call for assays to detect epigenetic diseases (in particular) earlier and more accurately, and for research on new targets. Companies also have opportunities to increase the sensitivities and specificities of existing tests, making them more clinically relevant. As assays are introduced that add value, “I can see them eating away at the existing markets,” says Harry Glorikian, managing director of strategy at Precision for Medicine, a provider of specialized services for life sciences companies. Biomarkers aren’t new, but their numbers are growing as scientists increasingly correlate genomics to specific diseases and thereby address unmet medical needs. Fujirebio Diagnostics’ cancer marker HE4, for example, is among the newly discovered markers. It is being used to monitor recurrence or progression of epithelial ovarian cancer, Glorikian says. For diagnosis, neutrophil gelatinase-associated lipocalin, commercialized by a handful of companies, improves the accuracy and speed of detection in acute kidney injury. Alere’s Triage® BNP (B-type natriuretic peptide) test likewise provides rapid diagnosis of congestive heart failure. They have an established base of analytic instruments and accompanying assays. “The larger companies like Abbott, Roche, and Siemens maintain their market share by widening the menu of tests run on their instrumentation,” Glorikian says. Alere specializes in point-of-care tests. Smaller companies like Axis-Shield, Bioporto Diagnostics, Fujirebio, and Diazyme Laboratories enter into collaborations with the majors to make their specialized assays available on major clinical analyzers. “Abbott has dominated the immunoassay market since the 1980s with a broad menu of tests and assay system, and has more than half the world market for infectious disease, primarily in hepatitis and HIV,” Glorikian continues. In January 2013, its troponin test, the Architect STAT High Sensitive Troponin-I assay, received the European CE mark. Roche commercialized several immunoassays in 2013 that run on its cobas® analyzer, including the cobas Integra 800 Tina-quant HbA1cDx assay. This is the first HbA1c test approved by the FDA to diagnose diabetes. Roche also commercialized the cobas EGFR Mutation test for lung cancer in May. In July, it submitted a premarket approval supplement to the FDA for cervical cancer primary screening using the cobas HPV test. Siemens has broad assay capabilities, including chemiluminescence, protein assays, and enzyme multiplied immunoassay technique (EMIT) technology. In September, it became one of the first commercial manufacturers to standardize its vitamin D test, the Advia Centaur Vitamin D Total assay, “to align with a reference measurement procedure used in the Vitamin D Standardization Program for vitamin D measurement,” according to a Siemens statement. 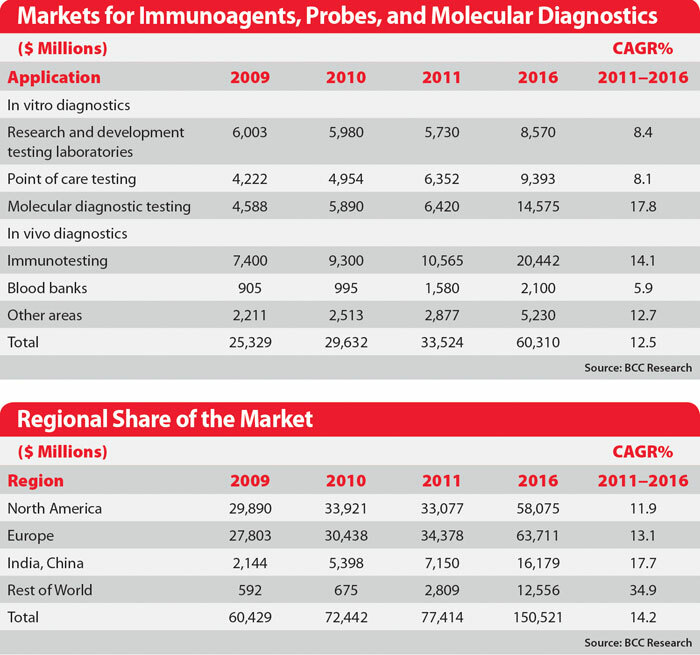 Danaher’s 2011 acquisition of Beckman Coulter expanded its already strong position in blood and tissue diagnostics. In the summer of 2013, it introduced the Power Express automation solution to streamline lab workflow; Power Link software to link the DxI immunoassay analyzer with the AU680 chemistry analyzer; the DxH 600 Coulter cellular analysis system; and the Iris diagnostics urinalysis portfolio, offering automated screens for urinary tract infections, bladder, and kidney disease. In September, Beckman Coulter gained FDA approval to market the Access AccuTnI+3 troponin I assay for use on the UniCel DxI series of immunoassay systems, to diagnose myocardial infarction. Alere gained FDA approval in August to market the Alere Determine™ HIV 1/2 Ag/Ab Combo in the United States. The test detects HIV-1 p24 antigen and antibodies to HIV-1/HIV-2. New instrument platforms have been introduced during the past several years. Now, these companies are expanding the menu of assays that run on these systems. Singulex recently raised $55 million on the strength of its Erenna Immunoassay system, which is based upon digital single molecule counting to enhance assay sensitivity and improve reproducibility at the limit of detection. Nanosphere’s Verigene system, launched in Europe in 2011, multiplexes a growing portfolio of assays at ultrasensitive thresholds. The Hycor Ultra-Sensitive EIA, launched in 2009, offers quantitative determination of specific IgE. Randox Laboratories’ Evidence system, Zeus Scientific’s AIMS system, DRG International’s Hybrid-XL system, Biokit’s BIO-FLASH system, Bio-Rad’s Bio-Plex system, and DiaSorin’s Liaison system are other relatively recent, ultrasensitive examples. Luminex asserts that its MAGPIX multiplexing platform is capable of analyzing proteins and nucleic acids in a variety of sample matrices, and that it can perform up to 50 tests in a single reaction volume. 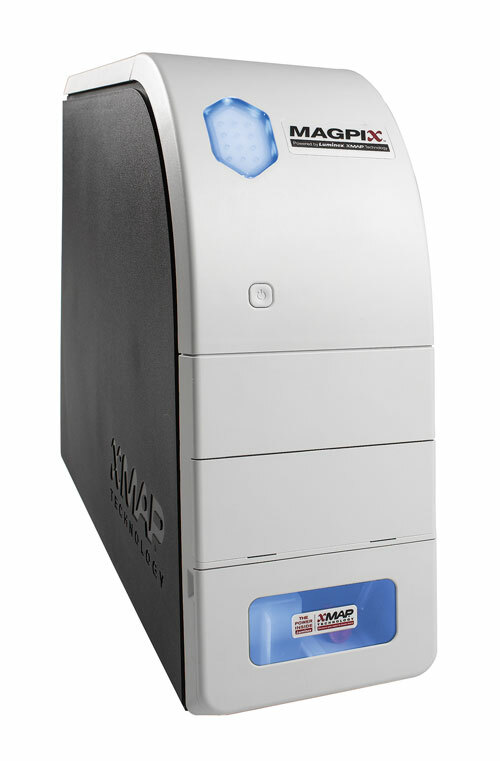 In April 2013, Luminex received FDA clearance for its MAGPIX instrument, with its xTAG Gastrointestinal Pathogen Panel (xTAG GPP). This is the first clinical assay to be cleared on this instrument. It can simultaneously detect 11 common viral, bacterial, and parasitic causes of infectious gastroenteritis from a single patient sample. Other multimarker panels include Crescendo Bioscience’s Vectra DA panel for rheumatoid arthritis and Fujirebio’s ROMA panel to determine the likelihood of finding a malignancy on surgery in women who present with adnexal mass. At the point of care, Alere offers its Triage system, and Qiagen has AmniSure ROM test, a lateral flow immunochromatographic assay that accurately diagnoses rupture of membranes (ROM). Despite the value of the new assays, reimbursement for those tests is not guaranteed. Glorikian notes a quantitative difference between assays that are FDA approved and those that are adopted by clinicians and reimbursed by third-party payers. Molecular diagnostic tests also are carving out a niche among traditional immunoassays. “In 1995 core in vitro diagnostics (IVD) test segments—chemistry, hematology, coagulation, and immunoassays—occupied 70% of IVD market sales. In 2011 their share has decreased to 41%,” Glorikian says. Molecular tests for infectious disease in hospital-acquired and respiratory infections, for example, offer faster turnaround times than older assays and are gaining popularity. Many of these assays are easier to use and analyze than traditional immunoassays. For example, Glorikian says, urine-strip assays eliminate the need for a lab and an analysis instrument. Mass spectroscopy and other technologies are being used to increase assay specificity for routine tests, including diabetes, thyroid, fertility, proteins, anemia, and most infectious diseases. “For example, mass spec can analyze heterogeneous samples containing truncated isoforms of prostate-specific antigen, which are difficult to accurately detect and can result in high false-positive rates,” Glorikian says. “Intrinsic Bioprobes, a Thermo Fisher Scientific company, has developed mass spectrometry-based protein assays for in vitro diagnostic testing for kidney disease and renal failure. The cross-fertilization of tests from microbiology, coagulation, and esoteric immunoassays onto core lab workstations is a fact,” he stresses. For mass spec to become a routine clinical tool, however, it must become more user-friendly.